Learn More about Periodontal Disease Treatment in San Francisco! After you have been diagnosed with periodontal disease, it can be hard to know where to turn or what treatment to pursue. Dr. Danielle Marquis and her staff at her San Francisco dental office have experience treating patients for periodontal disease and helping them to overcome it with a healthy, radiant smile! We treat our patients like family and want you to come away with a positive experience and exceptional results. Periodontal (or gum) disease occurs when plaque, bacteria, and tartar fill in the space between teeth and the gums. Over time, these irritants damage the gums and, in some cases, even the bone that surrounds the teeth. Periodontal disease is separated into three different categories of severity: gingivitis, periodontitis, and advanced periodontitis. Treatment for periodontal disease varies based upon the severity of the condition, and you can rest assured that Dr. Marquis will discuss all of your options and work with you to decide the right treatment plan for you. In the early stages of gingivitis, when very little damage has been done, a few regular dental cleanings are generally recommended. We will also give you tips for improving your overall oral hygiene. In its more advanced stages, periodontal disease requires a specialized cleaning procedure called scaling and root planing. 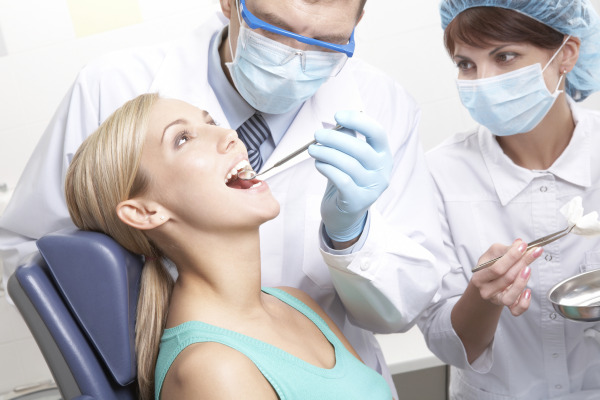 It is a deep cleaning that is typically done in one numbed quadrant of the mouth at a time. During the procedure, plaque, tartar, and toxins are eliminated from both below and above the gum line (i.e. scaling) and the root surfaces of the teeth are smoothed (i.e. planing). The result is gum tissue that can heal. Sometimes Dr. Marquis will recommend special medications, medicated mouth rinses, and other oral hygiene practices to aid in controlling infection and promote healing. In the most severe cases, patients may also need to consult with a periodontist, which Dr. Marquis can assist with. Treating periodontal disease does not have to be difficult. In fact, the sooner it is treated, the easier the process will be. Whether you have hesitated to seek treatment in the past or are proactive with your diagnosis, we can help you take that next step. Contact us in our San Francisco dental office today for a consultation—we know we can help!